If the recent software failures in the financial industry are anything to go by, then disruption to payment systems are becoming the ‘new normal’. This week David O Riordan, Principal Technical Engineer, SQS Group, delves into the benefits of blockchain, in particular in the aftermath of a software disaster. The VISA card payment outages, Faster Payments issues and disruption to card payments at BP petrol garages, all within the first half of 2018, have caused many to question the regulatory environment around financial institutions. And with the Bank of England and FCA requesting banks to report on how prepared they are for IT meltdowns, stating that any outages should be limited to just 48 hours, the finance industry is under real scrutiny when it comes to technology. Corporations are now expected to have a Disaster Recovery (DR) and business continuity plan put into place to avoid falling victim to software failures. Nevertheless, what business leaders need to understand is that while no IT solution is completely foolproof, and will likely go down from time to time, the key is knowing how a potential internal failure can be mitigated without affecting the overall performance. This can only be achieved with a well-practiced DR plan that is second nature to the responsible parties and can be executed in the desired timeline. However, this can be both costly and time-consuming to set up. How can such incidents be minimised, or potentially eliminated, in the future? 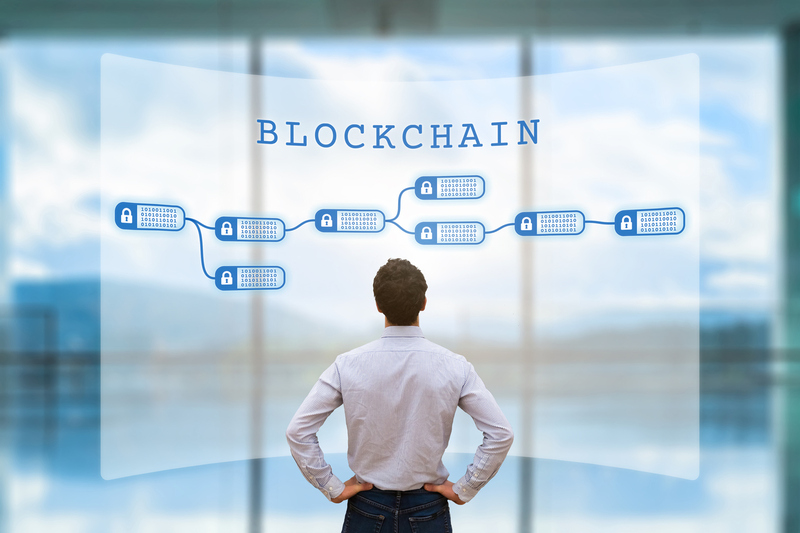 Blockchain is an alternative technology solution business leaders should consider, as it has fraud protection already built-in and is highly resistant to all type of attacks and failures. Blockchain is a de-centralised platform, where every node in the network works in concert to administer the network and no single node can be compromised to bring down the entire system. It is a form of distributed ledger where each participant maintains, calculates and updates new entries into the database. All nodes work together to ensure they are all coming to the same conclusions, providing in-built security for the network. Most centralised databases keep information that is up-to-date at a particular moment. Whereas blockchain databases can keep information that is relevant now, but also all the historical information that has come before. But it is the expense required to compromise or change these databases that have led people to call a blockchain database undisputable. It is also where one can start to see the evolution of the database into a system of record. In the case of VISA and other payment systems, this can be used as an audit trail to track the state of transactions at all stages. Additionally, blockchain removes the need for a centralised infrastructure as the distributed ledger automatically synchronises and runs across all nodes in the network by design. As a result, Disaster Recovery (DR) is essentially built in, eliminating the need for a synchronised DR plan. The inability to alter entries in the ledger also contributes to the overall security of the blockchain, improving resilience against malicious attacks. This is unlike traditional large centralised systems where resilience is provided by failover within a cluster, as well as site-to-site Disaster Recovery at a higher level. Disaster Recovery plans and procedures can be costly due to a large amount of hardware and data replication required. Furthermore, most businesses often do not execute it, so when disaster strikes, corporations are not prepared to deal with the aftermath; as seen with VISAs outage problems. While blockchain can be used as a system of record, and are ideal as transaction platforms, they are slow compared to traditional database systems. The distributed networks employed in blockchain technology means they do not share and compound processing power like traditional centralised systems. Alternatively, they each independently service the network; then compare the results of their work with the rest of the network until there is an agreement that an event has happened. In its default, blockchain is an open database. Anyone can write a new block into the chain and anyone can read it. Private blockchains, hybrid limited-access blockchains, or ‘consortium’ blockchains, can all be created, so that only those with the appropriate access can write or read them. If confidentiality is the only goal then blockchain databases offer no benefit over traditional centralised databases. Securing information on a blockchain network requires a lot of cryptography and a related computational liability for all the nodes in the network. A traditional database avoids such overhead and can be implemented ‘offline’ to make it even more secure. As an emerging digital disruptor technology, no one can say for sure where blockchain technology will ultimately lead. While many have disregarded this technology, the potential is certainly there to attempt to solve some of the most common problems in the digital space. However, with high customer demands on the increase within financial services and with the combination of a widespread network and substantial cost pressures, IT outages will continue to impact consumer experience. Businesses can minimise potential damage by managing communication effectively and dealing with the technical nature of the outage quickly. With a comprehensive and well-rehearsed data recovery plan, it can not only mitigate outages but maintain standards of service too. This will encourage customer retention, loyalty and growth. Therefore, blockchain should be considered, as it has a built-in check and balance to ensure a set of colluding computers can’t ‘game’ the system; as the network is virtually impossible to crack. As blockchain processing efficiency improves, it will increasingly become a more viable proposition, potentially making traditional disaster recovery unnecessary in the future.